1 Heat oil in 12-inch nonstick skillet over medium-high heat and cook mushrooms, onion, jalapeno peppers, garlic, salt and black pepper, stirring occasionally, 7 minutes or until vegetables are tender. Let cool slightly, then stir in Hellmann's® or Best Foods® Real Mayonnaise. 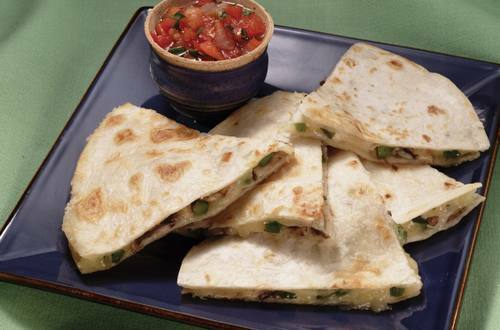 Evenly spread mixture over tortillas, then top with cheese and fold in half. 2 Cook tortillas in same skillet over medium-high heat, one at a time, 2 minutes on each side or until lightly golden. To serve, cut tortillas into wedges and serve.